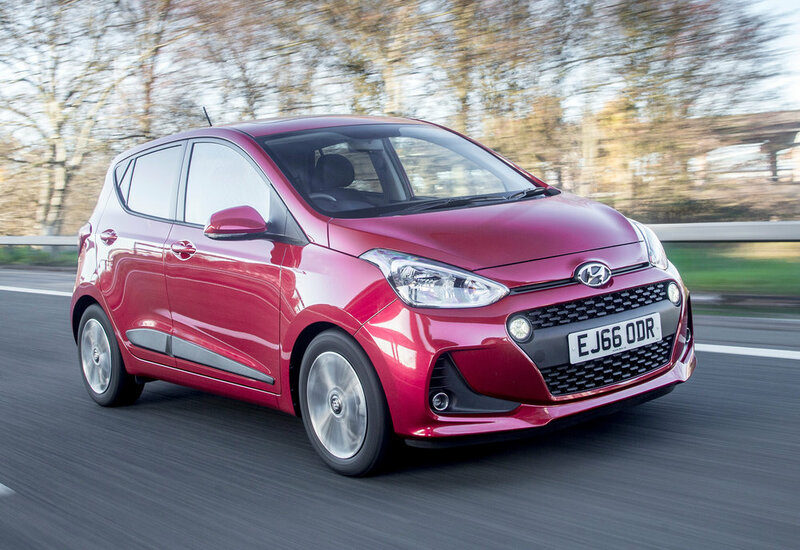 The revamped Hyundai i10 will start at £9,250 OTR for the 1.0-litre 5-door Manual, when it goes on sale in January 2017. The entry-level i10 S includes new 14” steel wheels and wheel covers, rear spoiler with integrated brake light, electric front windows and remote central locking as standard. The interior has a new Black cloth with grey dashboard insert. Standard safety features include Electronic Stability Programme, Brake Assist System and Tyre Pressure Monitoring System. 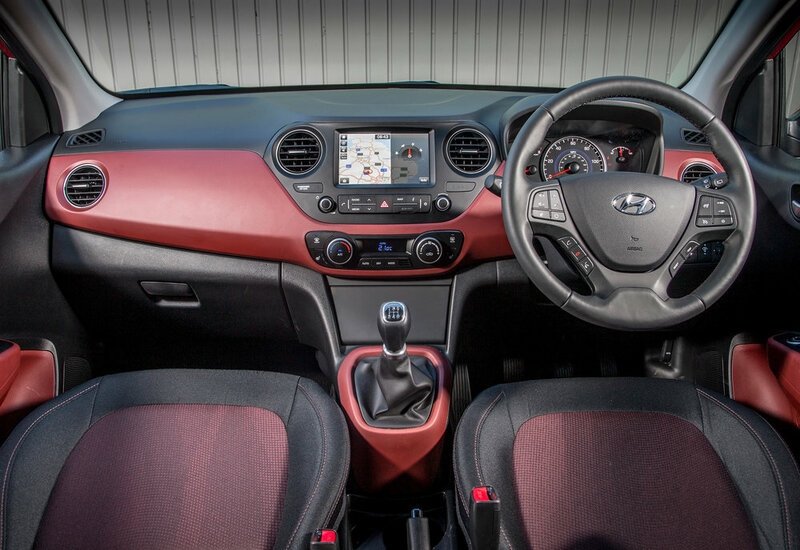 The i10 SE, from £10,500, builds on the S specification adding body-coloured door handles and mirrors, with heating and electrical adjustment, air conditioning, cruise control, Bluetooth and DAB radio. It's also available with an optional blue or red interior trim as a no cost alternative. The Driver Assist Pack with two new safety features is also included; with a Lane Departure Warning System and Forward Collision Warning. The SE has the option of three powertrains - the 1.0-litre 3-cylinder Kappa engine mated to a 5 speed manual transmission, or the 1.2-litre 4-cylinder Kappa engine available with a 5 speed manual or 4 speed automatic transmission. The i10 SE Blue, available from £10,900, shares the equipment levels of the SE, whilst delivering ‘range leading economy’ says Hyundai. With a combination of Intelligent Stop Go, and weight saving 4 seat interior with 13” steel wheels and wheel covers, the SE Blue’s 1.0-litre 3-cylinder Kappa engine can achieve up to 70.6 mpg combined. The i10 Premium now features privacy glass as standard, which alongside a new design of 14” alloy wheel and LED daytime running lights, increases car’s visual appeal further. Interior comfort is also increased with climate control and a leather steering wheel / gear knob, as well as new connectivity features including a DAB radio and a smartphone docking station. The i10 Premium is available with a choice of three powertrains- the 1.0-litre 3-cylinder Kappa engine with 5 speed manual transmission, or the 1.2-litre 4-cylinder Kappa engine with a 5 speed manual or 4 speed automatic transmission, and is priced from £11,200 OTR. The range-topping i10 Premium SE is priced from £12,800 to £13,540 OTR and builds on the specification enhancements of the Premium trim, with the introduction of a 7” touchscreen with Navigation and DAB radio. The fully integrated system also offers LIVE services, Android Auto and Apple CarPlay. The Premium SE is available with the 1.2-litre 4-cylinder Kappa engine with a choice of a 5 speed manual, or 4 speed automatic transmission. The facelift includes Hyundai’s new cascading grille as well as a redesigned front bumper - with updated LED Daytime Running Lights on Premium and Premium SE models. At the rear, an evolved bumper design with a black inlay and round fog lights is joined by refreshed rear lights with a darker housing for a ‘sportier look’. Redesigned side mouldings with a new shape and size round off the 2017 i10’s fresh profile.